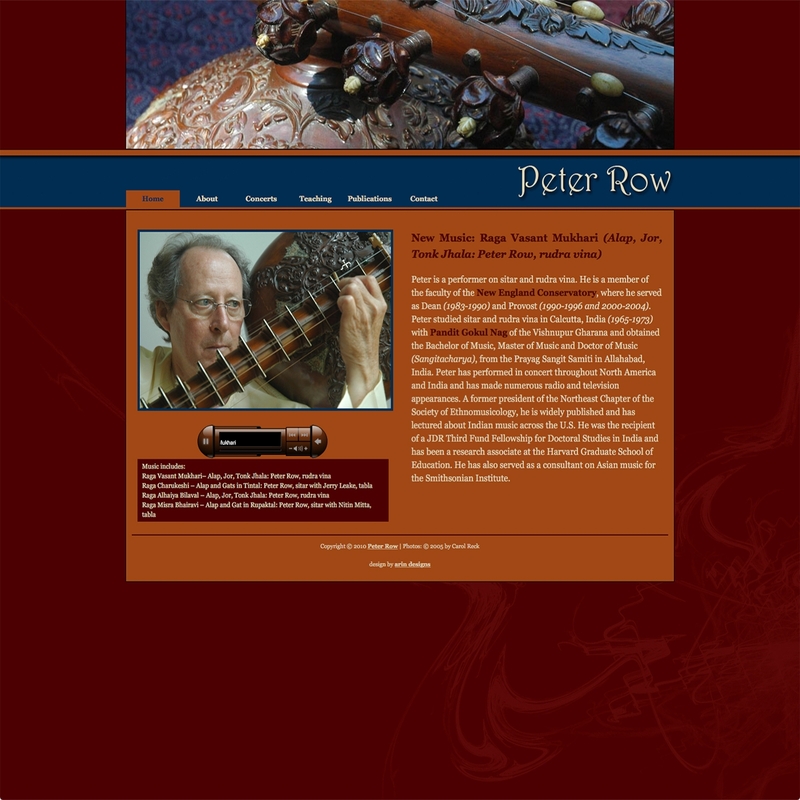 Peter Row is a performer on sitar and rudra vina. He is a member of the faculty of the New England Conservatory, where he has served as Dean and Provost. He has also served as a consultant on Asian music for the Smithsonian Institute.